I am Sonya C. Thomas, the founder and president of George Thomas Coaching Consulting, and Training Growth Services, LLC. I am an on-going student and trainer of leadership and personal growth. I have trained leadership for over 25 years for the government, for-profit organizations and non-profit institutions. I have over 37 years’ experience working for a utility corporation where I found my purpose – helping others uncover their goals and aspirations through coaching where they may live a life of significance. I was personally certified and mentored by John C. Maxwell as a leadership, coach, trainer, consultant, and speaker. I continue my own growth process through the Mentorship Program of the John Maxwell Team where 5,000+ leadership coaches across the world lift leaders to be more effective transformers of themselves, their community, their non-profit, or their organization. 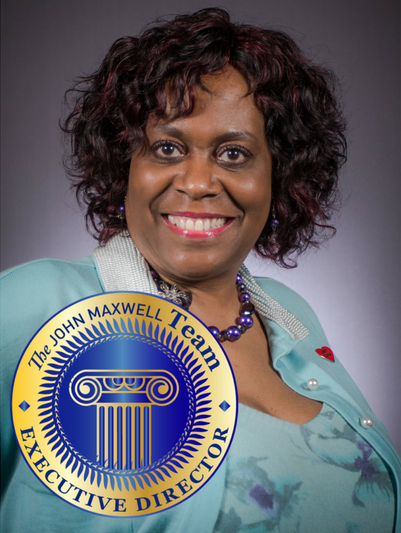 As a John Maxwell Certified Coach, Teacher, and Speaker, I offer you workshops, seminars, keynotes speaking, n coaching, aiding your personal and professional growth through study and practical application of John’s proven leadership methods. Working together, I will move you and/or your team or organization in the desired direction to reach your goals. I am passionate about LEADERSHIP, TEAM BUILDING, AND YOUR PERSONAL GROWTH. The desire and potential are in all of us to create success. To assist you, I offer you an opportunity in walking with you towards actually achieving your goals, your team, your organization, and even your non-profit institution. As a representative of George Thomas I would be honored to partner with you through Mastermind groups, Seminars, Conferences, Workshops, Lunch & Learn sessions, Keynote Speaking, group or even one-on-one coaching via virtual or face-to-face. Sonya earned a Ph. D. fin Education (Post-Secondary & Adult Education), and an MBA is in Entrepreneurial Management. Dr. Thomas enjoys the four seasons in Auburn Hills, Michigan sharing her life with husband Richard M. Thomas II who also works as George Thomas Growth Service’s Administrator.